Devon Alexander, the former World Boxing Council Light Welterweight Champion will face the current Interim World Boxing Organization Inter-Continental Light Welterweight Champion Lucas Matthysse of Argentina on Saturday night boxing June 25, 2011 live at The Family Arena, St. Louis, Missouri. It will be a tough 10 rounds fight in the light welterweight division. Devon Alexander was punished by Timothy Bradley on his last fight via technical decision due to accidental head but in the 10th round, a cut on the right eye of Alexander and loss his belt. Alexander has 21 wins - 1 lost & 13 knockouts victory. victory. Lucas Matthysse, a 28 wins - 1 lost & 26 knockouts victory. Lucas Matthysse is expected to break down Alexander's style in order to win the fight. The main target of Devon Alexander is to stand along with his name as being a not refusing fighter. He is willing to fight anyone up to the bell ends. Devon Alexander will be fighting on Saturday night together with his home crowd on his hometown in Missouri but he'll be facing some big problems in fighting over Lucas Matthysse because the Argentine fighter is not that kind of an ordinary boxer in the ring. He can put into a lot of pressure. 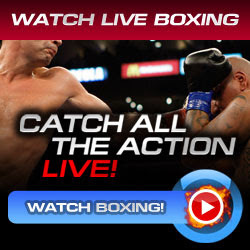 Don't miss to watch the weight-in and the final fight of Devon Alexander vs Lucas Matthysse.